Lesson 1.3: Auditory Learning – How to Learn Like a Pro! Modality number two is learning by hearing, or auditory/aural learning. Studies show that the percentage of people who learn best by hearing is as low as 10%, so most of us need strategies for how to get the most out of straight lecture classes or workshop and meeting presentations. For a reminder of how tricky this type of learning can be, complete the following exercise. 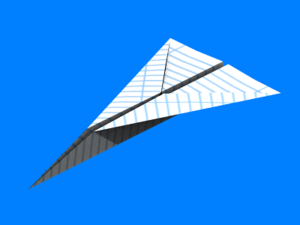 Write out instructions on how to create a simple paper airplane*. NO FAIR COPYING ANYBODY ELSE’S INSTRUCTIONS, online or your uncle’s. These must be YOUR original instructions that your instructor will be presenting to the class to see how classmates hear your directions and how you have organized the tasks. NO ILLUSTRATIONS, only words. When your instructions are read by the instructor, you may not offer any prompts, explanations, apologies, or comments. 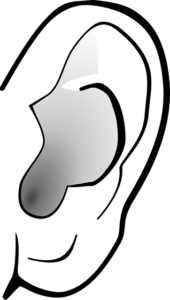 Read the article Auditory Learning and choose six strategies that you think might help you. You can either download the article to annotate, or list the strategies on a separate piece of paper.